A modern intercom systems come in a number of formats,analogue, digital and IP (internet protocol) are available, as well as software based soft client Intercom stations. There are a range of features and interfacing options. 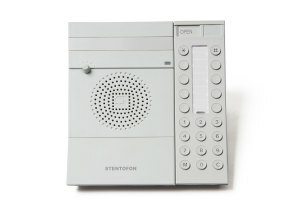 Digital Intercom stations can be connected using Cat5 cable and can even use existing computer networks as a means of interfacing distant parties. Intercoms can link between rooms, buildings and countries.